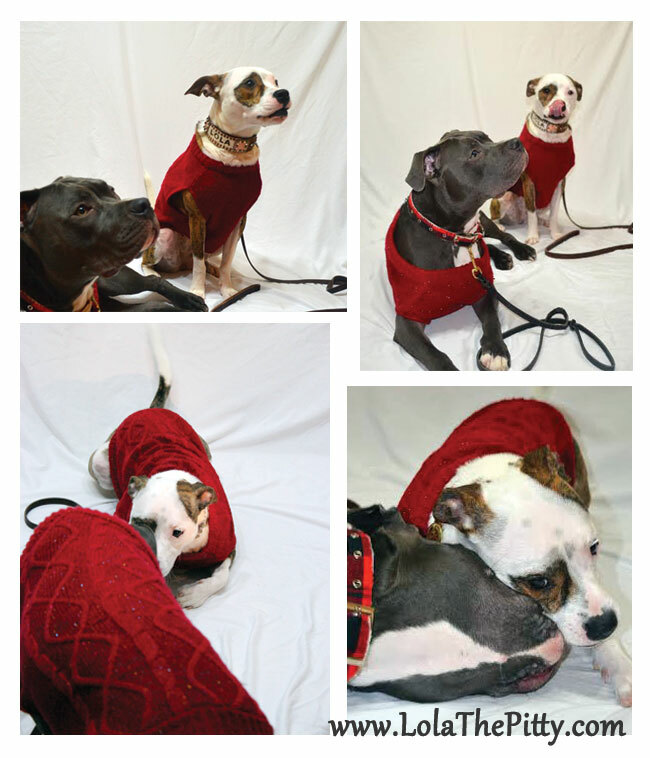 Amaya and I had this idea that we would take pictures of Lola and Tater in their ‘ugly Christmas sweaters’. Lame, I know. But after all we are obsessed with our dogs. Rio was originally going to be included in this, but as you might have read – he grew out of his matching sweater. 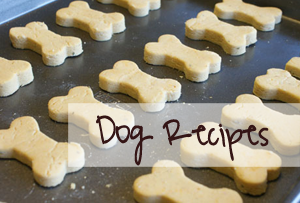 Plus, you will see how it went with TWO dogs, let alone three! Let’s just say…train wreck! But it was fun, the dogs had fun and we left with about ONE good photo – one that they were not together in. Ha. Have you ever taken photos of two dogs that LOVE to play together?! We clearly need some tricks! If the weather would’ve been better, it would’ve been quite wise to let them run off their energy before attempting this seemingly impossible task. Here’s the real fun! We decided to shoot a video instead. After all, the bloopers are sometimes the most fun of them all. 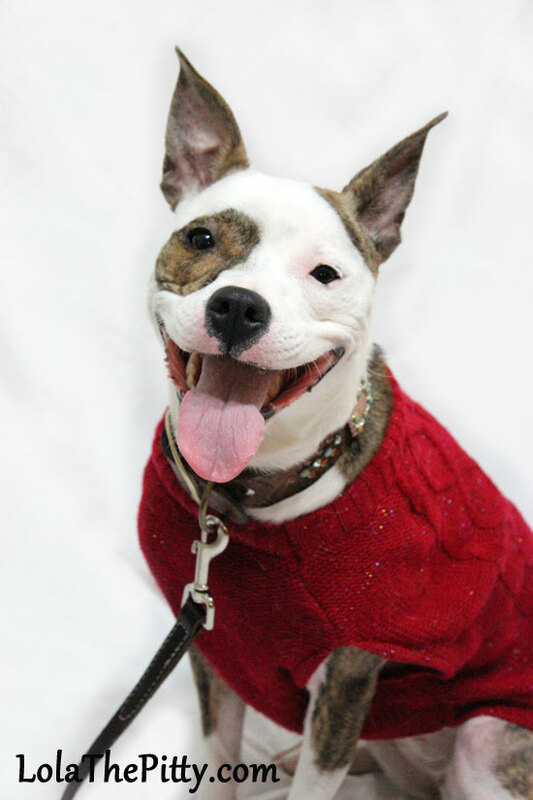 Adoptable Dog of the Week - Violet! This would work….however the sweaters are NOT ugly! I KNOW! Lol…that’s what I told Amaya. I’m blaming Amaya (she bought them, lol). Amaya….where are you!? I AM HERE! 2 MONTHS LATE BUT I AM HERE! Whew! I am sooo glad to know that I don’t have the only uncooperative photo hounds out in the blogoshere! Your babies are precious even in bloopers. Have a great holiday! I left this comment but it disappeared so if it shows up twice blame the internet, ok? : ) I am sooo very glad to know that I don’t own the only uncooperative photo hound in the blogosphere! Bentley will pose perfect until the camera is in place then total chaos! Your babies are adorable even in bloopers! Have a great holiday!